In collaboration with our Religious Education Program events are planned to celebrate our young families. 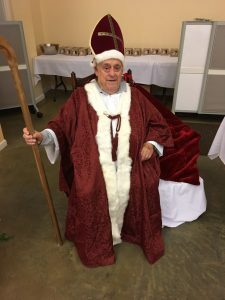 Two examples of events coordinated by this ministry include the Easter Egg Hunt after Easter liturgy and a pancake breakfast with St. Nicholas on the first Sunday in December. If interested in being a part of this ministry, please contact the Mathewes or Billew family. Plans are underway for the 2018 Breakfast with St. Nicholas to be held on Sunday, December 2nd. New families are encouraged to attend and there are plenty of ways to help.